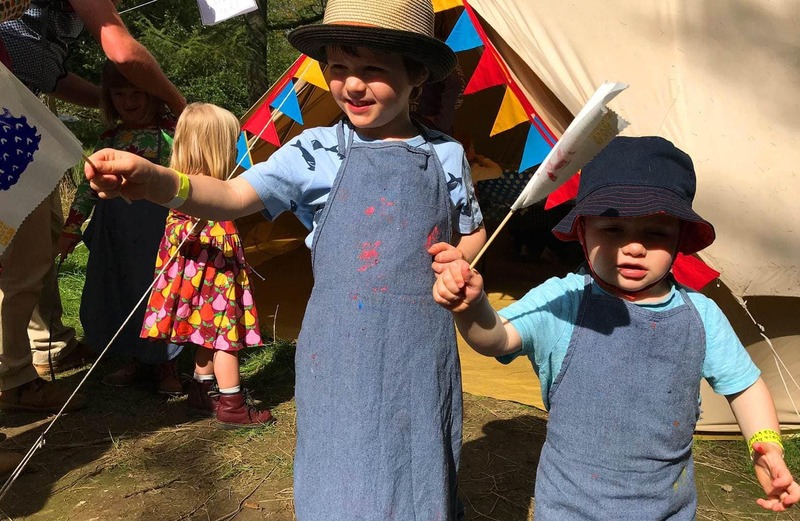 Run by the team behind the award winning Elderflower Fields festival, and set in the same beautiful location of Pippingford Park in East Sussex, this was the fourth year Into the Trees has run and the first year they’ve offered camping. Although with two boys under four, we weren’t quite brave enough to camp! Instead we opted to visit on the Saturday which turned out to be a gloriously warm sunny autumn day, perfect for exploring everything Into the Trees had to offer. On arrival one of the first things I noticed was how friendly everyone was, from the stewards by the car park, to the staff in the information point who gave each of our boys a wrist band that we wrote our mobile numbers on should they get lost. We entered into a clearing in the woods filled with a variety of street food vendors from wood-fired pizza to local venison burgers (both of which we can highly recommend). To start with we just grabbed a coffee and followed our boys who were immediately drawn to the music of Poppies Parties presents Felicity Fox and then a yoga class run by Tatty Bumpkin. Once they’d danced, stretched, and we were caffeinated, we set off to explore. Most of the activities were free or had a small charge – it cost 50p for our boys to screen print their own flags for example which they absolutely loved. Some activities such as mountain boarding, kayaking and tree climbing needed to be pre-booked and did cost a bit more. However like the archery, axe throwing and woodland tribe (where children use children use hammers, saws, drills, nails and wood to construct the playground of their dreams), which all looked really fun – our children (aged two and four) were not quite old enough to give them a try! 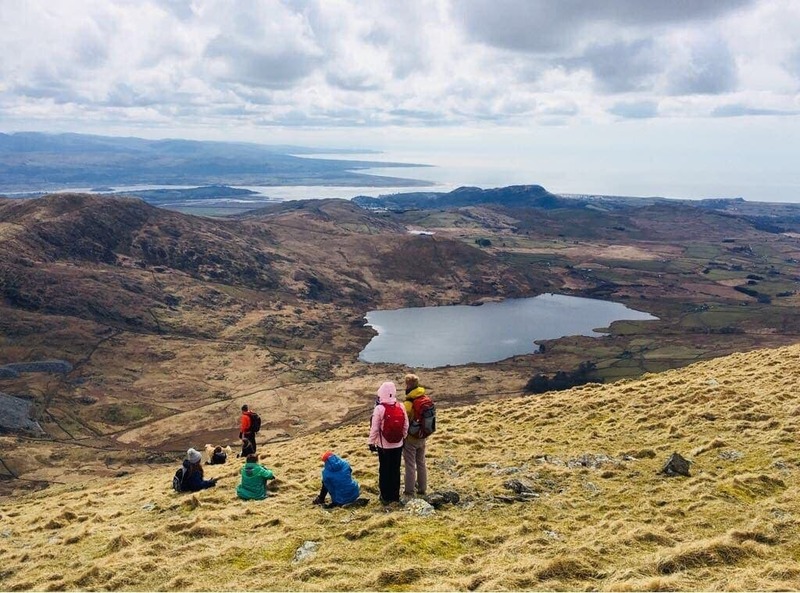 We probably only tried about a quarter of the activities on offer but it was lovely to be in an environment where our boys could wander around freely and discover new things. 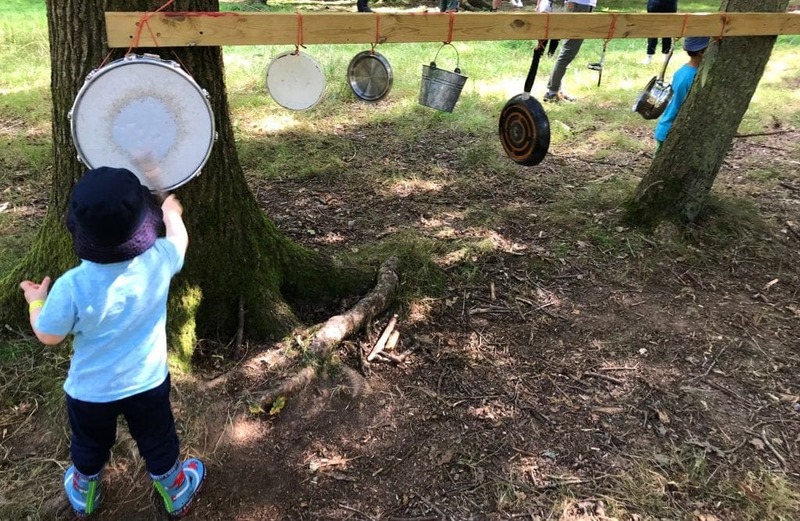 They particularly enjoyed the junkyard orchestra – where lots of metal items were tied to trees and the children encouraged to hit them with sticks! They also loved the slacklining, rope swings and became totally engrossed by the story telling session around the campfire. We listened to the fantastic Jon Mason but there were other storytellers on throughout the day. 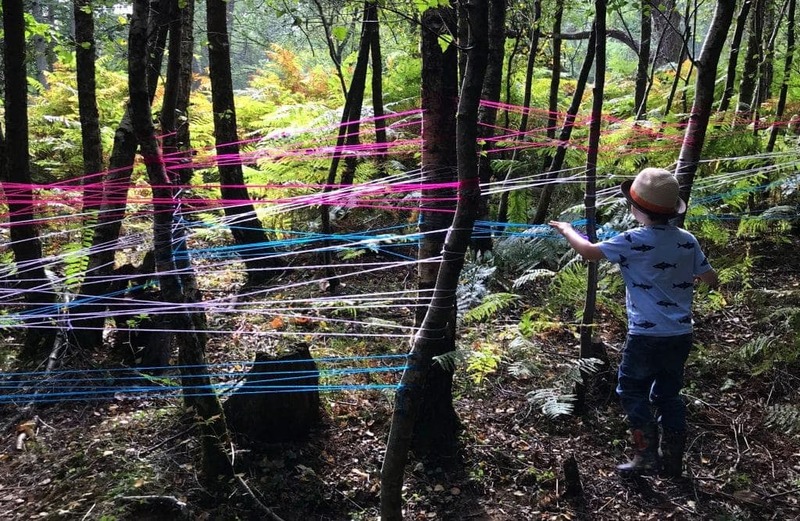 We probably spent the longest following the Art Trail through the woods, exploring amongst the trees and walking on fallen logs across muddy streams. 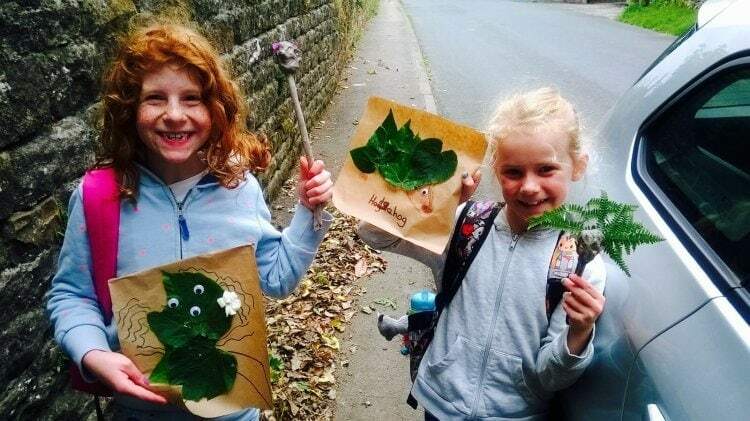 Had we stayed overnight, there would have been heaps more to keep the boys entertained the next day too from pond dipping to making bug sculptures. Into the Trees was super family friendly, we hardly had to queue for the loos (important as we’ve only just potty trained our youngest) and I noticed they even had a breastfeeding and nappy changing tepee. There was a fantastic atmosphere, heaps to keep the kids happy and it was the perfect size for little legs without ever feeling over crowded. Into the Trees promised a chance to explore and relax in nature and it totally delivered. It’s safe to say we, and our boys, absolutely loved it. Our tickets to Into the Trees were complimentary but all views and opinions are my own. We are a nation of festival lovers. It seems we love nothing more than live music, performance and dance, arts and crafts in a field with some rain, some sun, and lots and lots of mud. 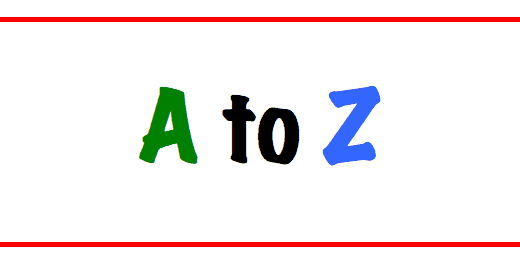 We have also recently gone nuts for Family Friendly Festivals and here at Mini Travellers we have loads and loads of Family Friendly Festival reviews for you to check out before you decide to book one!